Ireland's golf courses are proud to offer all golfers the friendliest welcome, the best craic and of course a seemingly endless supply of world class golf, all set against the beautiful and dramatic backdrop of the Emerald Isle. From classic links layouts to beautifully sculpted and immaculately prepared parkland, Irish golf courses have something for everybody. Starting in the far north on the coast of Donegal a circular tour of Ireland country presents players with a feast of golf courses. Standing hard against the Atlantic surf, the two championship courses at Ballyliffin, Old Links and Glashed, wind through stunning dunes. Rosapenna, laid out by Old Tom Morris and altered by both Harry Vardon and James Braid, provides a test worthy of its heritage whilst Portsalon, Nairn and Portnoo and Donegal Golf Club (Murvagh) will all reward a visit. 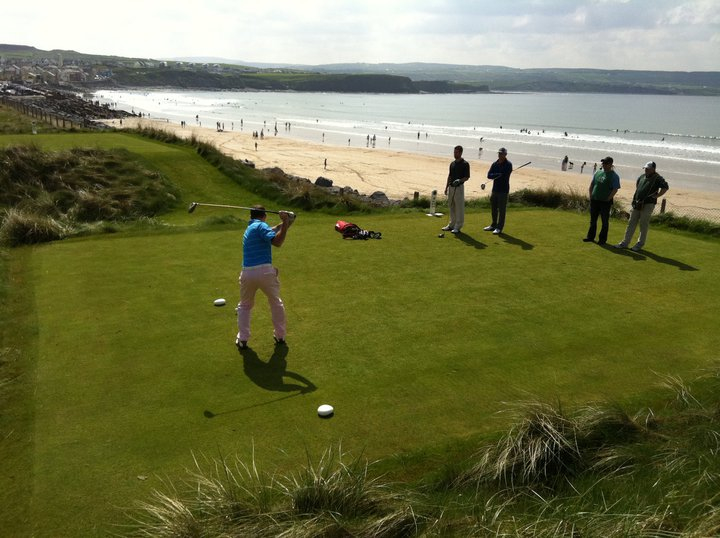 The western counties of Galway, Mayo and Sligo offer up dramatic golf. Connemara, is a unique golfing experience on a piece of land parcelled between the mountains and the sea, and at over 7000 yards is as testing as it is picturesque. The classic County Sligo Golf Club at Rosses Point juts out into the Atlantic and its challenge is matched by its long history, having been established in 1874. The wealth of golf means the splendid course at Enniscrone is often described as a hidden gem but the championship course renowned for its deep bunkers and fine greens is a match for any. Proceeding southwards into the counties of Kerry, Cork, Limerick and Clare the golfing challenges abound with familiar names that many golfers will have on their dream Irish itineraries. 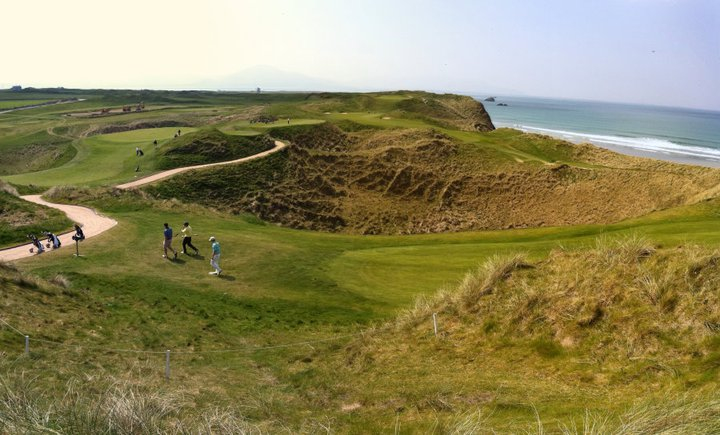 The Old Course at Ballybunion rightly finds itself in lists of the best in the world sits amidst dunes overlooking the Atlantic whilst the Arnold Palmer course at Tralee is also renowned worldwide. Doonbeg may be the new kid on the block but it does not suffer by comparison to the more established names and and Waterville, Killarney and Lahinch are names that trip from the tongue and do not disappoint when you arrive. When you add in treats like the Old Head at Kinsale you can see why this part of Ireland is revered by many who play the game. Heading north up the eastern coastline to the historic capital of Dublin the counties of Kilkenny, Louth, Kildare, Wexford and Wicklow continue to serve up spectacular scenery and excellent golf in equal measure. Starting with the links at Rosslare in the South East corner this stretch is home to some excellent golf. Great seaside challenges can be found at The European Club, Royal Dublin and the famous links at Portmarnock to the north-east of the capital. Great inland championship golf can be found at courses such as Mount Juliet, Druids Glen, Powerscourt or the famous K Club host to the 2006 Ryder Cup matches. Although when talking about golf courses in Ireland, those mentioned above sometimes grab the headlines, the true wealth of golf on the Emerald Isle is the depth in quality of those lesser known courses that if located elsewhere may be world famous. The tremendous quality of courses available for golfers to play coupled with the warmth of the locals and their love of the game makes golf on the Emerald Isle an unforgettable experience.